What do Jordi Roca, Chris Brogan, and Michael Porter have to do with your MSP? Let me tell you the stories and then we can talk about how that applies to our businesses. Jordi is the youngest of three boys and perhaps the most talented pastry chef in the world, but he wasn’t always “that guy”. He started out as many of us do, a little lost and just going through the motions in his brothers’ restaurant. Jordi was much younger than his two older brothers Both of which were already running a successful fine dining restaurant. Jordi worked around the restaurant essentially just doing time, putting in his shift then heading out partying all night. He was young and to be honest really didn’t care about anything. Jordi struggled to find himself and make his mark in life. Until one day when his boss in the restaurant had a terrible accident. He fell off a ladder and was out for an extended time. At this time Jordi’s brothers’ restaurant L SAYYA CAAN ROCA was already a one star Michelin restaurant and they had a lot to lose. Jordi stepped up and faithfully reproduced the recipes that he mentor left in a wooden box in the restaurant. They were good but nothing spectacular and when Jordi stepped out of his comfort zone and try to make his own dessert it was less than stellar. It wasn’t until Jordi decided to take a class on ice cream that it all changed for him. His instructor was teaching about the importance of the air in ice-cream, not just the fact that you need to have airy ice cream but also that you need to have clean air so that the ice cream doesn’t take on any off-putting flavors. Jordi thought about it on the way home and then decided to think about it another way. What if he used the air to put flavor into the ice cream? The next morning, he went into the restaurant and as crazy as this sounds, he blew cigar smoke into the ice cream as it was being made. After it set up he gave it to his brothers to taste and the rest is history. His “Trip to Havana” dessert as its called is now world renown. 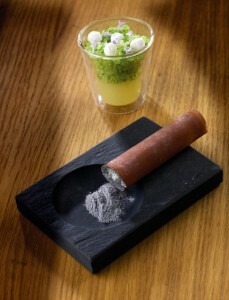 If you order it at El Celler de Can Roca, you’ll get what looks like a cigar-shaped ice-cream sandwich in a glass ashtray. It looks like a cigar and the smoke-infused it heightens the experience. By the way, El Celler de Can Roca is in Spain and has been ranked the best restaurant in the world in 2013 and continues to be ranked in the top 5 restaurants in the world. It now boasts a Michelin 3 star rating and Jordi is at the top of his game. Jordi learned to take inspiration from everywhere and everything. He looked outside of his environment and has reaped huge rewards because of it. 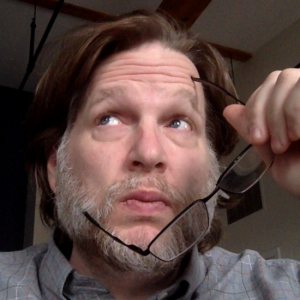 The second mentor I learned from this week is Chris Brogan. If you don’t know who Chris is, Chris is an accomplished Author of a bunch of books, including the bestseller “Trust Agents” and has spoken for or consulted with the biggest brands you know, including Disney, Coke, Google, GM, Microsoft, Sony and many more. In addition to working with the big guys Chris also does group coaching with small businesses through his Owner Insider program and that’s how I know Chris and his business partner Rob Hatch. His best free work comes out on his weekly email which he sends every Sunday. If you want to get on this mailing list, you can do that at ChrisBrogan.com. He talked about how on blog after blog, podcast after podcast or coach after coach all were all preaching the same about stuff. Essentially each other’s best practices. He felt he was able to leapfrog his competition by looking past the “What is” part of the question and asking “What COULD Be” question instead. In our businesses, I’m not sure we take enough time to look at the “what could be” question on behalf of our clients or prospects. The last one of my mentors this week was Michael Porter and his lessons on competitive strategies. In two of my mastermind groups, one internal and one external we talked about differentiation. In our industry, providing Managed IT services, it is increasingly difficult to set your company apart from the competition, but it is possible, just like it was possible for Jordi Roca and Chris Brogan in their highly competitive markets. Such uniqueness might relate to consistency as in McDonald’s, reliability as in FedEx, status as in American Express, or quality as in BMW. Creating a unique and valuable position in the marketplace by having a key series of differentiating activities isn’t easy but it’s extremely valuable. Doing it can set your company up for long-term success, most times freeing you up from pricing pressure and much competition. 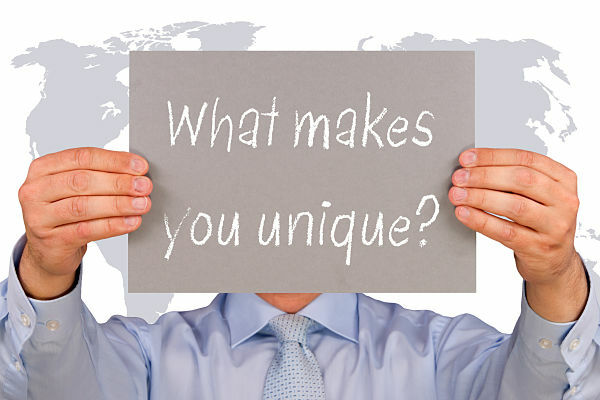 How are you differentiating your business? I’d love to hear from you and understand how I can help you accomplish your goals and move your company forward. Let me know what you think. Drop me a note or comment below. If you want the recipe head over to IT Provider Network/jordi for a copy.